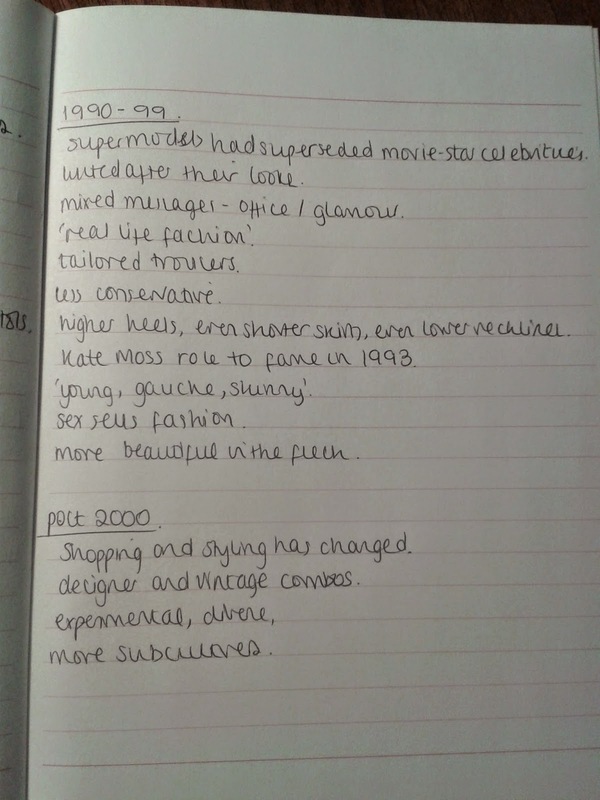 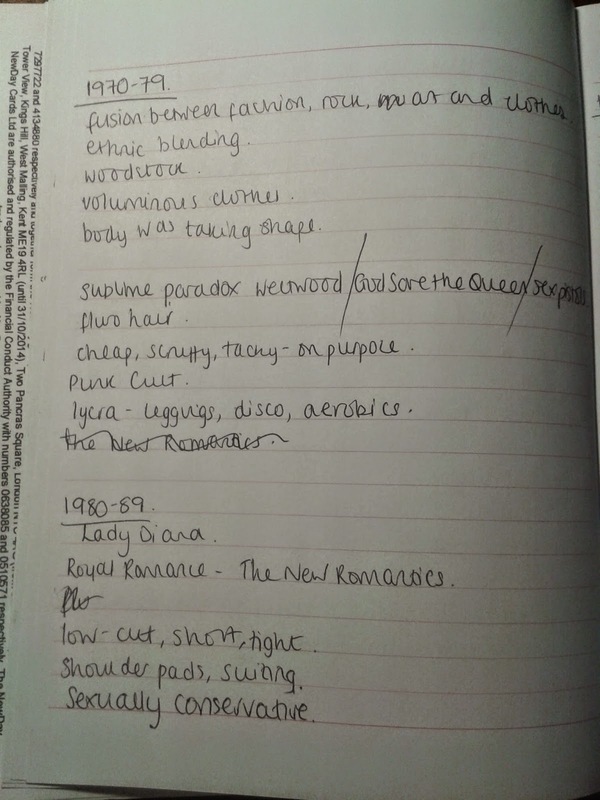 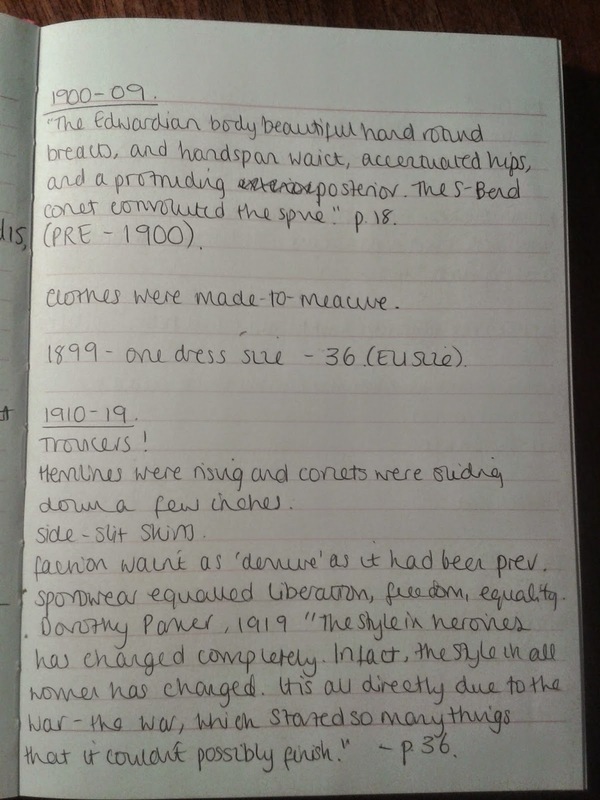 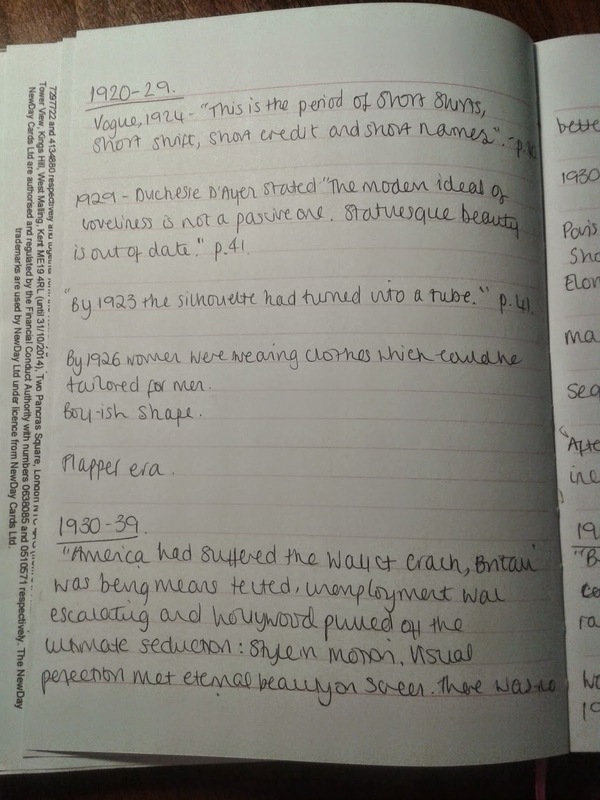 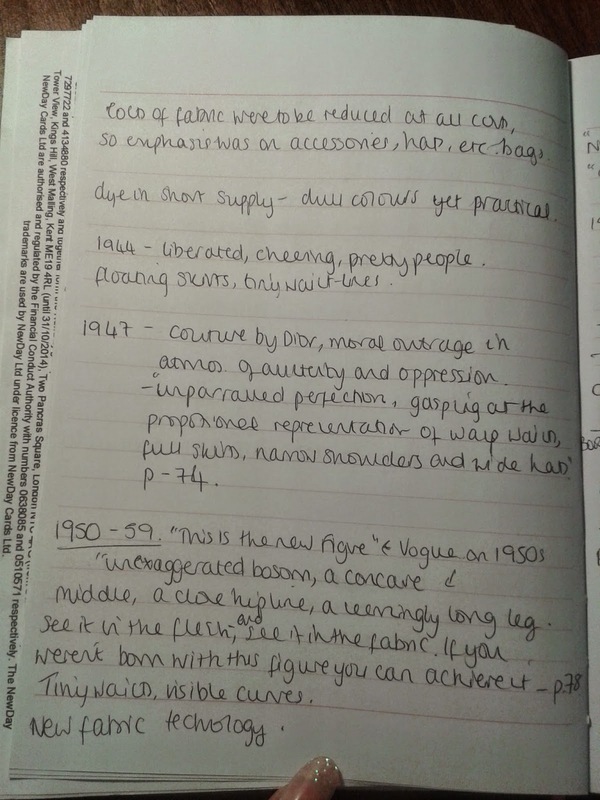 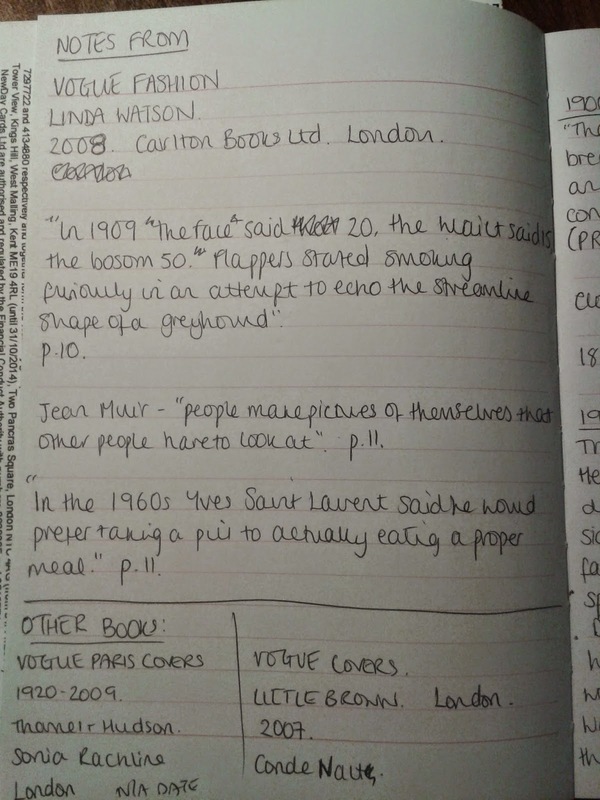 The images below show the notes taken whilst reading Vogue Fashion by Linda Watson. 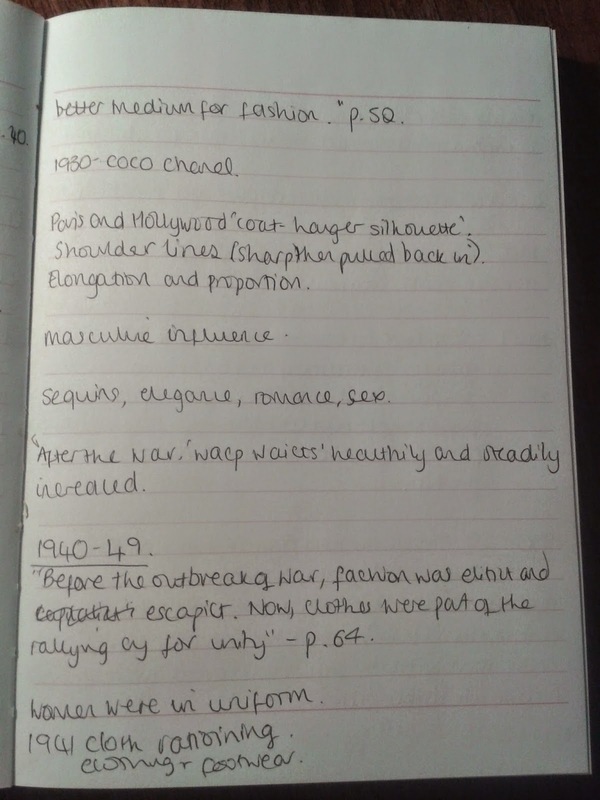 The book allowed me to learn the contextual background behind fashion history which in turn had an effect on the female figure. 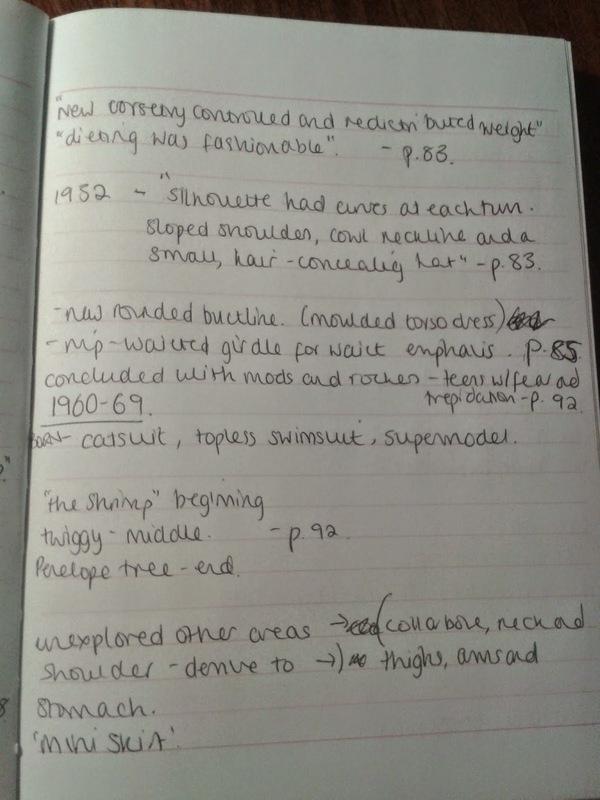 These notes, quotes and figures will be of use for the practical element of the module, and will enable synthesis between image and analysis.